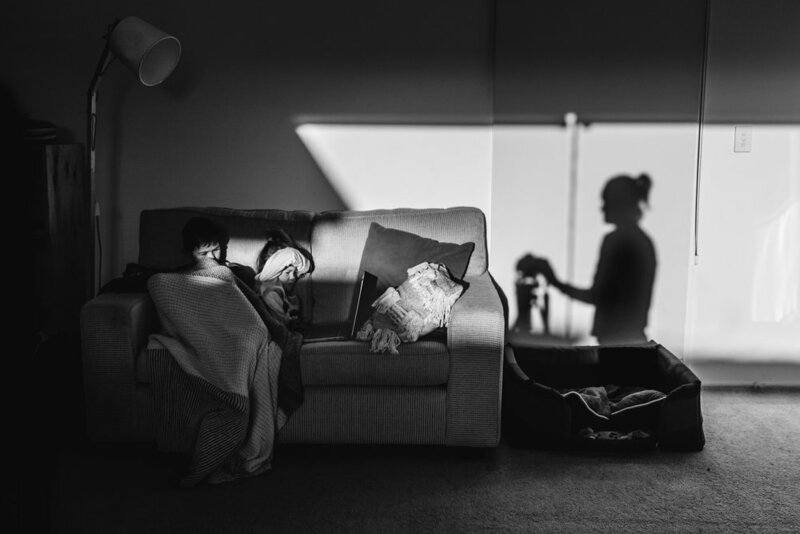 As a natural light photographer, Geelong based Lauren McAdam Photography specialises in capturing the beautiful and real moments shared between families and loved ones. Through un-posed, in-home photography session Lauren McAdam Photography is able to provide a lasting memory of your life in a natural and relaxed way. Clients are encouraged to embrace the ordinary, messy and precious details of daily life to capture a beautiful reflection of their life at that time and create a lasting memory to be treasured for generations to come. With extensive experience in childcare, and a family of my own, I am a very patient photographer. I also enjoy the energy and unpredictability of working with children, while endeavoring to capture children’s real smiles, and document the things that make your family unique. During in-home photography sessions I capture photos of children being themselves, as it’s not always the main occasions that need to be captured, the every day is just as important. Over the past 5 years I have been developing my photography skills through study and courses. Recently three of my photographs were published in American Magazine ‘Dear Photographer'. In my down time, I enjoy spending time with my family, and capturing our perfectly, imperfect moments together. As a photographer, and a mother, I believe there is so much beauty in the every day, and I look forward to capturing your families beautiful memories.